Sometimes the online reading experience can be like getting blasted in the face by a fire hydrant. You just wanted a little sip of water, but the floodgates swung open, in an endless stream of article shares, likes, tweets, and emails. There has got to be a better way to not get lost in the articles and read better ones. It’s tough because there are some people out there who treat you like an animal, laying out all sorts of click bait to hook onto the slightest sign of interest and curiosity. Even though publishers have gotten smarter, I’ve become a smarter reader, and I want to share some of the things I’ve done to take back control of my attention. Instead of looking for things to read right as this instant, ask yourself if this would be worthwhile reading later. What you’re doing is called reading curation. Usually, our friends start that initial curation cycle, but remember, most of the time they are curating for themselves. Even if they think there friends might like it, it’s still up to you to make the decision to read. Enough people don’t exercise this freedom and invest too much on their friends being the editor instead of learning how to be their own editor. So now you’ve stumbled upon something you want to read later. Where do you put it? The primary tool I use is called Pocket, which is free to use and stores content for later reading, online or offline across phone, tablet or your computer. I use that service along with its handy Chrome extension to quickly save articles or videos. With Pocket, you can also tag articles to organize what you come across. Another useful take I use is ‘Should Read’ or you can shorten to ‘Read’ for articles you come across that you want to follow up on to help identify them later on if they get lost among hundreds of articles you will add to you Pocket later. I’ll talk more about this second step of curation later in the post. We’ve talked about changing our mindset from what to read, to what to read later, and we’ve got a way to store that content. Now we need to think about ways to store trusted sources. Websites have a simple and useful feature called RSS, which stands for Rich Site Summary, that sends a notification when content has been updated or changed on a site. Instead of visiting websites individually to check when something is new, you can save time by subscribing to a site’s RSS Feed to receive new content. You don’t have to get this content delivered to your email which is probably already full of stuff you may or may not need to follow up on. 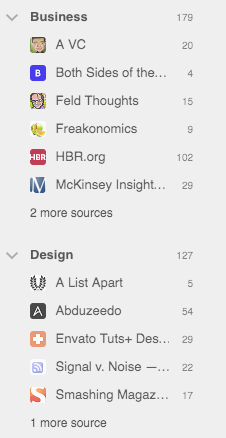 I use a tool called Feedly, which is a better way to organize, read and share the content of your favorite sites. You can use it to subscribe to various sites RSS feeds and receive new content. 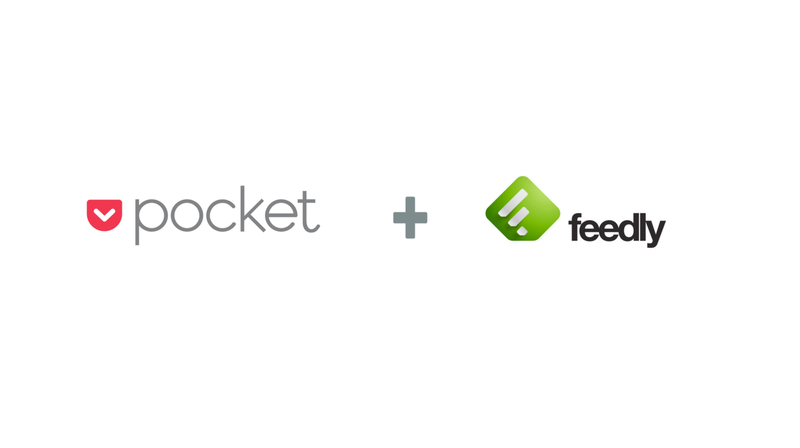 You can utilize both Feedly and Pocket for a more seamless workflow. I use a site called IFTTT to setup a trigger, that when I save an article for later in Feedly, it automatically saves it to Pocket. This way I can consolidate my reading into Pocket and mainly use Feedly as a sourcing tool. Another handy feature of Feedly is that you can see popular articles based on data from other Feedly users who have clicked on the article, and these articles usually rise to the top of your Feedly feed. The goal is to read more high-quality articles and those that interest you. Facebook and Twitter are still popular choices to find things to read. With Facebook, I highly recommend using the ‘Hide Post’ & ‘Unfollow’ feature to better curate your news feed and allow more space for content you want to see. On Twitter, you can create your curated lists with Twitter lists and follow people who share good content. Also periodically prune your following list for people you no longer want to receive updates from. It’s not always the tool to blame but how you use it. The thing we RSS Feeds is that as long as there is new content and you are subscribed to sites it keeps filling up. 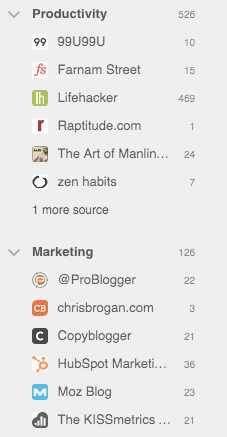 I try to set aside 5–10 mins every 1 to 2 weeks, to clear out lists by marking them all as read in Feedly. This way I don’t feel intimated by the huge volume of things to read if I don’t have time to visit my Feedly as frequently and things build up. As you add things to Pocket, your Reading list can get long as you come across various content. Remember when I presented the idea of thinking about should I read this towards, should I read this later? Well, you can ask the same thing about your reading list. Curate, your curated list. I don’t come across a lot of people who’ve been doing this, but for the ones that do, what’s left is content worth reading. I find the best times to prune my pocket list is during commutes where I don’t have enough time to read an article, or there is too much going on to focus on reading. With personal reading curation, it’s just a yes or no question. It’s ok every once in a while to leisurely browse through articles. When you make it the default choice, though, you risk falling into the trap of just reading what is given to you, instead choosing what you read. You might find your reading interests broadening when you add more structure to it as you’ve prioritized for quality. With better quality, you’ve cut your total reading down, and you’ll find you have more bandwidth to read other things. For other people, the structure and focus on quality will allow you the time to read. You’ll come across hidden gems on the web and hold onto them. By adding a slight buffer towards decided what to read, you allow yourself more time to respond towards what’s worth reading instead of reacting to what’s available. You can better keep track of valuable insights you’ve found in reading as they will be stored in a service like pocket to go back and reference later. Share those amazing articles you’ve spent the effort making sure were worthwhile and soon enough you’ll be a trusted source of your friends and colleagues. I use a tool called Buffer to share across my various networks. Curate the sources that you receive most of your news and articles from. Read articles the same time, only if they are very worthwhile or you have extra time. Research a news aggregator to reduce the amount of sites you have to individually browse. Use an RSS Reader like Feedly to keep up to date with your favorite sites. Save Articles to read later in Pocket. 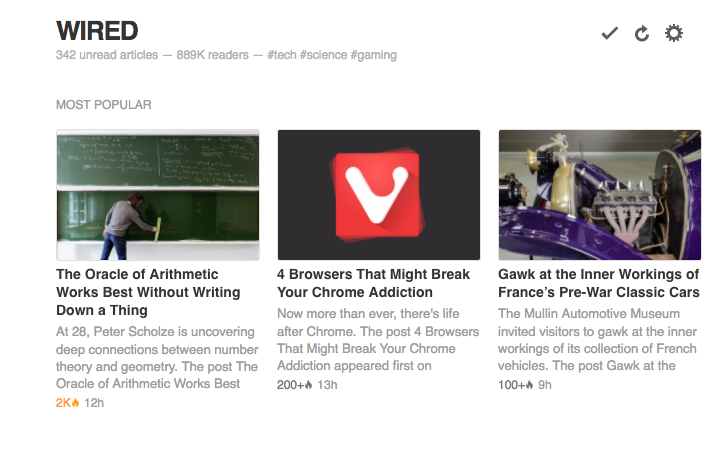 Periodically clean up you Feedly lists for unread content. Originally published at Juvoni Beckford.